Dooley Noted Style: Away We Go! Boston's brutal winter weather has officially ticked me off and made me wonder why we choose to pay so much money to live in a place that is graced with the shortest summer season. I always feel my best when the sun is out and the days are long. We accomplish more in our day, we eat better, are more active and generally just in a better mood when it's warm and sunny. So to reboot our souls we are off to a warmer climate to indulge in some relaxed island living. 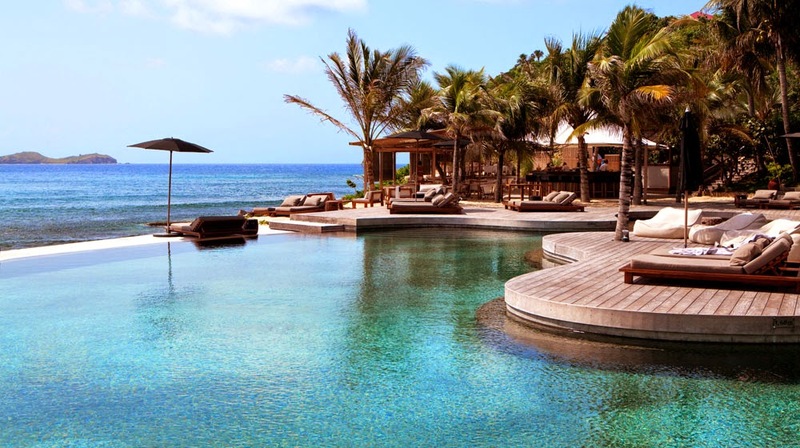 I am so excited to return to the emerald island of St. Barth where we celebrated our honeymoon almost four years ago. It will be a fabulous place to turn another year older and spend some quality time with my favorite person. I will be signing off from the blogosphere till the middle of next week but feel free to come say hi over on instagram. I will be sure to share some vacation snaps where you are free to give me a hard time for being in paradise ; ) Shop some of beach gear below that I have packed away for lounging in the sun.